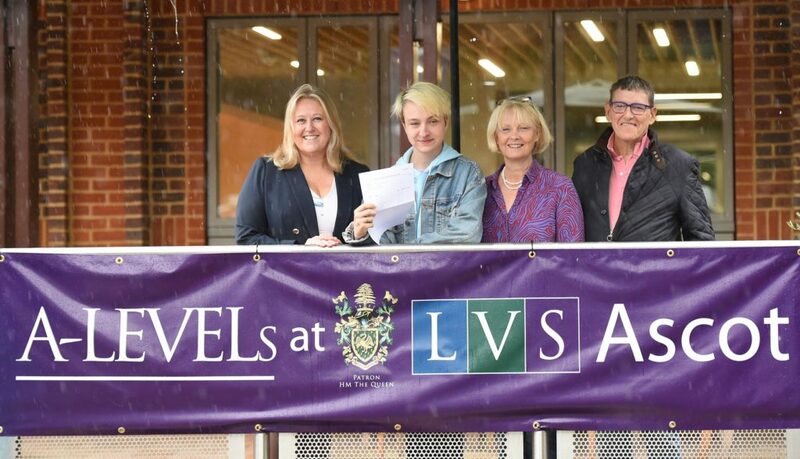 Four students who attend LVS Ascot on Licensed Trade Charity Bursaries celebrated their A-level results on Thursday 16th August 2018. One of the aims of the charity is to provide an excellent education, and it has been running schools for over 200 years. The Bursaries allow people who work in the drinks trade to gain places for their children at independent all-ability LVS Ascot, owned and operated by the Licensed Trade Charity. Ian Dunlop, whose parents Alec and Hilary run the Barmy Arms pub in Twickenham, has been at LVS Ascot since he was 7 years old, and his A-level results helped him win a place at the British and Irish Modern Music Institute in London. Thanks to his 11-year education at LVS Ascot he will now go on to study a 3-year music production degree. For more information on our Bursaries, please click here.